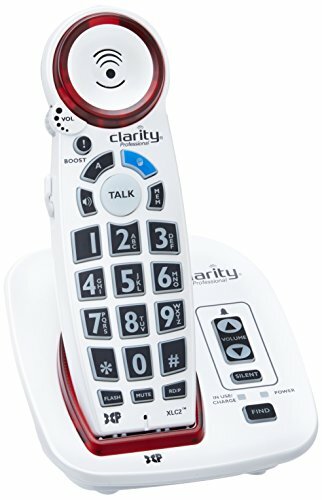 A big button cordless phone that talks - announces incoming caller and repeats numbers and button functions as they are pressed. This cordless phone has a lot of features that will benefit most seniors and the elderly. 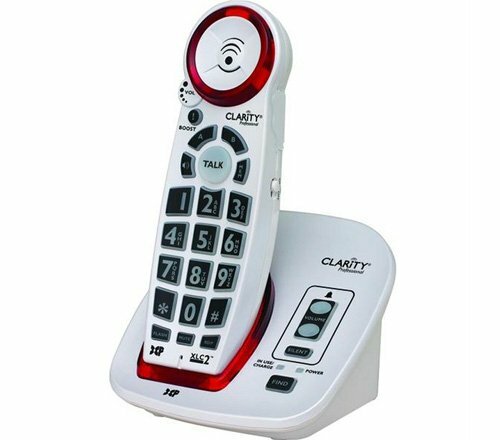 Seniors with moderate to severe hearing loss, poor vision, and mobility issues will benefit greatly from a cordless phone like this one. The buttons on this phone are big and easy to see. They are also backlit for use in the dark or at night. The dial pad even talks to the user while they are using it by saying the numbers or function of the button out loud. This phone has several “talking” features that can help seniors – especially those with vision problems. First, the caller ID announces out loud who is calling. This is a very convenient feature for call screening or avoiding telemarketers. The phone also announces the number or function of a button as it is pressed. This could help reduce errors while using the phone. I really like that this phone uses two-way boosting. The receiver boosts incoming calls by up to 50 dB which is one of the larger volume boosts of the phones I have reviewed. But, it also boosts outgoing volume by up to 15dB. This is good for seniors who are low talkers or mumblers if you have trouble hearing them when they call. Yes! It is hearing aid compatible and TIA-1083 compliant. This model includes a speakerphone too which some seniors would rather use because of the increased volume a speakerphone offers. My grandmother talked to everyone on her speakerphone then held it up to her ear. This cordless phone has many features that will benefit seniors. The buttons are easy to see and use. I can see some real benefits with the talking features but I can also see some seniors being put off by that. This phone will help seniors with poor hearing. But, overall, it is a bit more complicated than some of the others. I wouldn’t use this one with someone developing dementia.